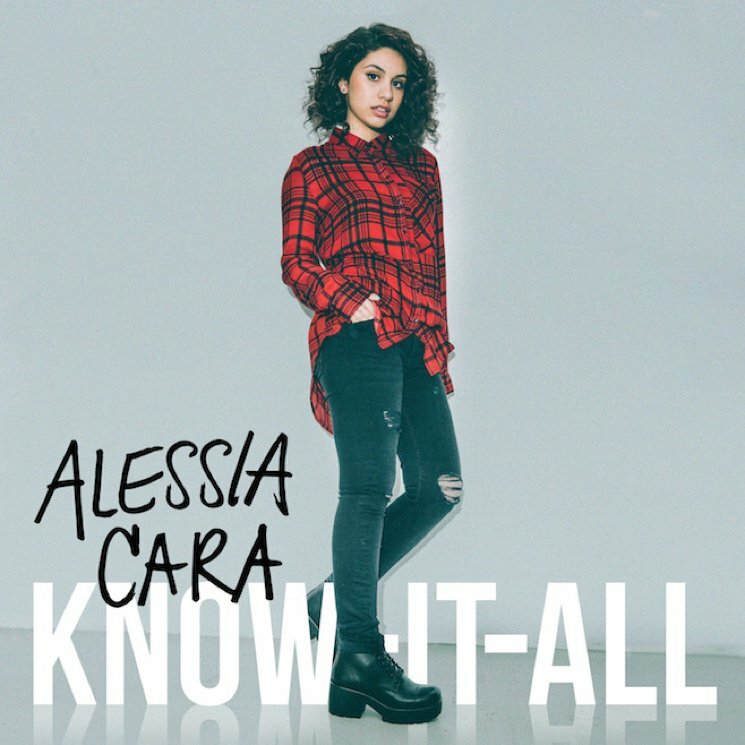 As one of my Featured Artists last year, Alessia Cara is set for big things. After her single 'Here' was a viral hit, she's released her debut album Know-It-All, featuring the single and is tipped to be a hit after the success she's had so far. The album starts with 'Seventeen', a catchy bubblegum-pop anthem that shows how confident she is in her vocals, and why people believed in her music. 'Outlaws' is slower, but Cara doesn't slack on the vocals at all. In fact, the whole album is perfectly executed. The relatable lyrics of 'Here' is what broke her into the ears of the public, and the rest of Know-It-All demonstrates that she can create more potential hits about love and being a misfit, those being 'I'm Yours' and 'Wild Things' - I wouldn't be surprised if I heard them on the radio sometime soon. 'Four Pink Walls' brings more of an R'n'B vibe to the table, with fast talking and scratches of a DJ disc, wanting me to scratch my eyes out - she should leave that to the experts. 'Stone' is a great ballad, flaunting her voice with her, a guitar and featuring Sebastian Kole (who produced some of the album) providing some great backing vocals. For a debut Pop album, Know-It-All shows that Cara has all the components of being relatable without being too in-your-face as an artist. You can buy Know-It-All on iTunes, Google Play and Amazon (UK | US), with it also being available to stream on Spotify for free. Follow Alessia on Facebook, Twitter and Instagram to see what she's up to. Also don't forget to follow me on Instagram and Facebook to see what I'm posting before anyone else.